Kitchens are often referred to as the “heart of the home”, and homeowners are thinking ahead to make sure the area is ready to enjoy as they age in place. 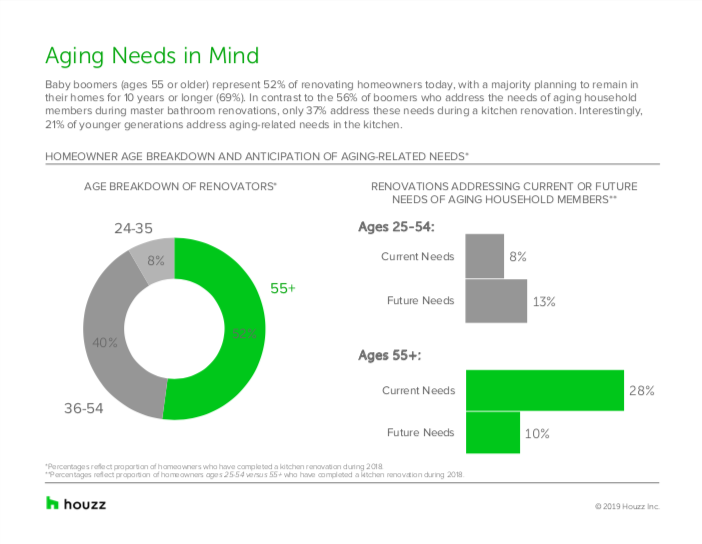 According to the 2019 Houzz Kitchen Trends Study*, Baby Boomers (ages 55 or older) represent 52% of renovating homeowners today, with a majority planning to remain in their homes for 10 years or longer (69%). 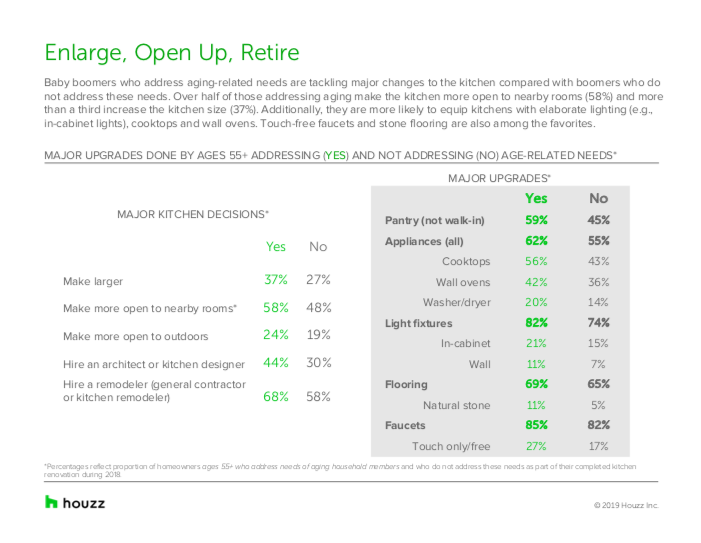 Of these Baby Boomers, two in five incorporate universal design features during kitchen renovations (38%) that will make their homes more accessible as they age. 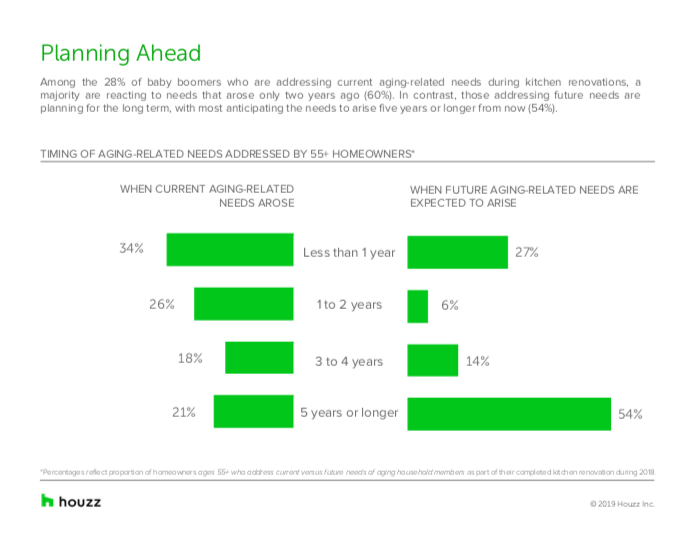 Interestingly, 21% of younger generations also address aging-related needs during kitchen projects. 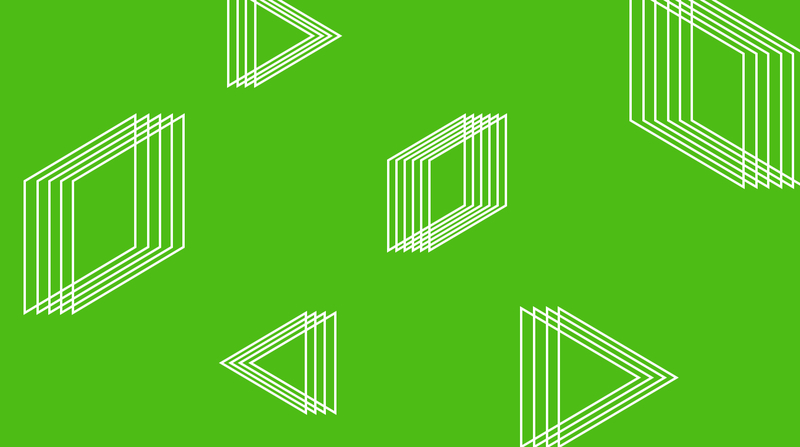 Among the 28% of Baby Boomers updating their kitchens with accessibility in mind, a third seem to be jumping on recent changes to their lifestyle and reacting to needs that arose within the past year (34%). In contrast, those addressing future needs are planning for the long term, with most anticipating the needs to arise in five years or longer (54%). Baby Boomers who address aging-related needs are tackling major changes to the kitchen, as compared with those who are not addressing these needs. Over a third increase the kitchen size (37%) and open it up to nearby rooms (58%) and the outdoors (24%). Baby Boomers who approach their renovations with universal design in mind are also investing in major upgrades such as pantries, appliances, light fixtures and flooring at a greater rate than those who are not addressing aging-related needs. They are more likely to equip their kitchens with in-cabinet lighting, cooktops, wall ovens, touch-free faucets, and stone flooring, than those who are not addressing aging needs. 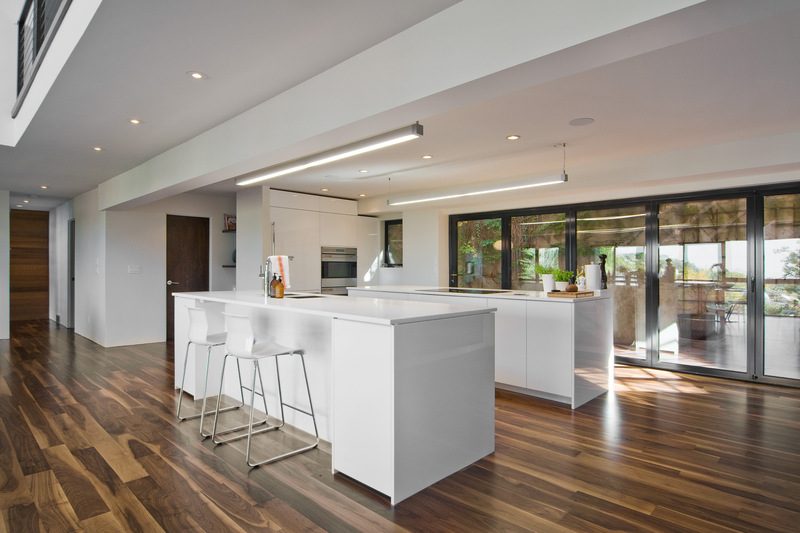 For additional findings the 2019 U.S. Houzz Kitchen Trends Study, check out the full report at this link. *Houzz survey of more than 1,300 U.S. homeowners using Houzz who are in the midst of, are planning or recently completed a kitchen project, was fielded between September and October 2018.